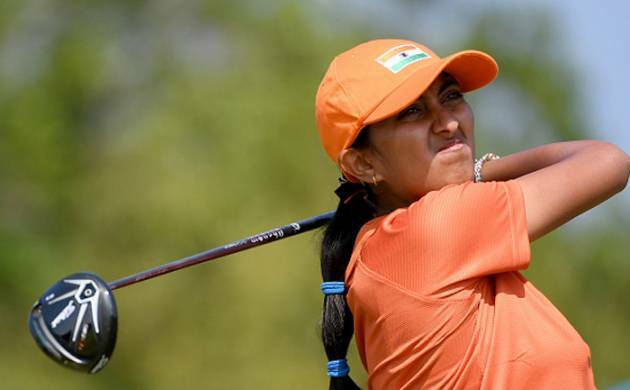 India’s teen golfer Aditi Ashok rounded off yet another week with a card of five-over 76 to end her campaign at the 41st spot in the women’s golf event at Rio Olympics on Saturday. India’s teen golfer Aditi Ashok rounded off yet another week with a card of five-over 76 to end her campaign at the 41st spot in the women’s golf event at Rio Olympics on Saturday. Nine of the world’s Top-10 took part in the event making it as strong as any Major and ensuring credibility for the sport, which made a re-appearance at the sporting extravaganza after 112 years. For Aditi to hold her own on first two days when her cards of 68-68 kept her in the Top-8 of the field was indeed a big step for Indian golf at world stage. After a brilliant first two days, Aditi was blown away by the wind on the third when she shot 79. On the final day, the Indian admitted to hitting a couple of bad drives and missing some putts during her 76 and for the first time in four days, she had no birdies and just three bogeys and one double bogey. The 18-year-old, who turned professional only six months ago, finished the week at seven-over 291. Meanwhile, Inbee Park (66-66-70-66) with a total of 16-under 268 outclassed the field by seven strokes to become the first women’s individual golf gold medallist since 1904. Lydia Ko (69), the Kiwi of Korea origin, birdied three of the last five holes, including 18th to take silver at 11-under, while China’s Shanshan Feng (69) at 10-under took the bronze. Park, winner of seven Majors and 17 titles on LPGA and the youngest ever to make the Hall of Fame at 28, almost did not come because she has problems with ligament in injuries on her left thumb. But because this could be her only shot at Olympics and the fact she does not know whether she will still be playing in four years time, prompted Inbee to play this week at Rio and she played brilliantly. Nomura Harukyo shot a flawless six-under 65, American Stacy Lewis, a two-time Major winner, and Korean Yang Hee-Young were tied fourth at nine-under. Aditi said, “The experience has been great staying at the Olympic Village and playing with the best in the world and I really enjoyed playing this golf course, too. It played different every day because of the wind and the conditions, but yeah, I enjoyed it. “With my performance, you know, I could have done better, but you know, I’m going to build on this, and the next time I play bigger events, I’m sure this experience is going to help me,” she added.